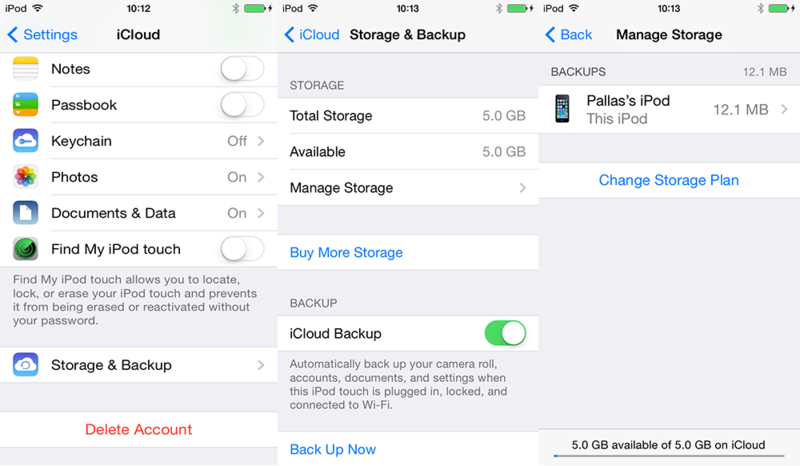 With limited 5GB iCloud storage, an iOS user can't store too much data. Meanwhile, an iOS user don't know whether deleting created backups will affect the iOS device used now. All concerns will be solved below. Since Apple gives only 5GB free iCloud space, many iOS users don't know how to free up iCloud storage because increased data needs to be saved. The article below will give a solution. It is well known that Apple just provides 5GB free space for iCloud. That is so limitable for an iOS user, because increased personal data needs to be backed up. Besides, most iOS users prefer to use the same Apple ID with different devices. For more storage, extra money is needed. However, some iOS users refuse to pay, and they don't know whether deleting iCloud backup will affect the existed iOS device or not. Right? 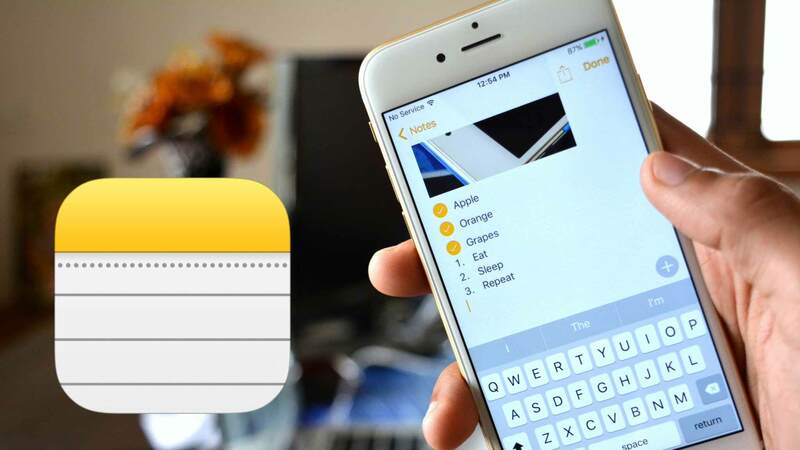 Want to find an easy way to free up iCloud storage? Below is the tutorial. 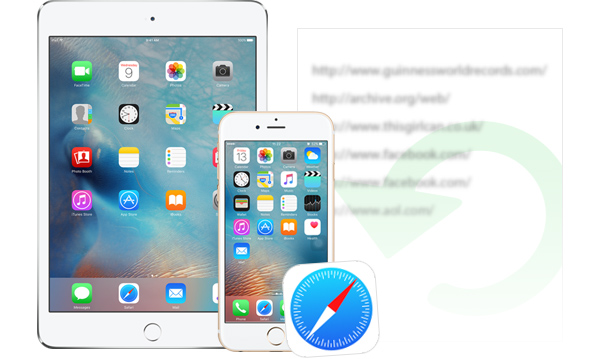 How to Free up iCloud Storage on iPhone & iPad & iPod touch? To free up iCloud storage, it's ok to delete some unnecessary backups, turn off needless backup option, clear some personal data, etc. For these operations, make sure iCloud has been open. Furthermore, please keep in mind that if the backup has been deleted, it won't be displayed on iCloud at the same time. Here take iPod touch as an illustration. > Go to Settings > Tap on iCloud > Select Storage & Backup > Choose Manage Storage. 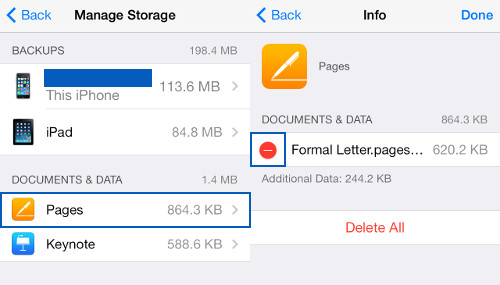 After tapping on Manage Storage, the interface will display different backups and document & data if possessed. Meanwhile, it will also present how much space has been taken in the bottom line. > Go to Setting > Tap on iCloud. 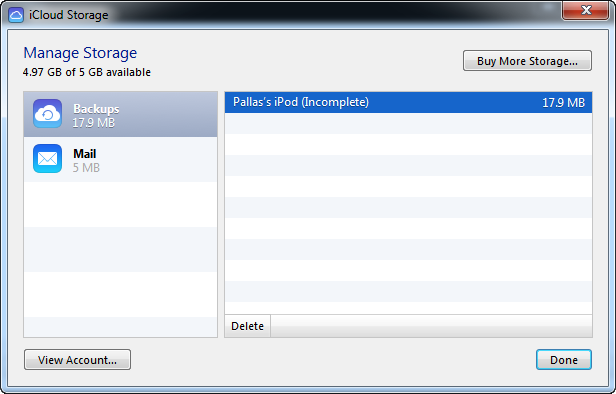 The iPod touch surface will give a list of option to backup. In this case, just keep some necessary selection and turn off others. > Go to Setting > Tap on iCloud > Choose Storage & Backup > Select Manage Storage > Pick option for deleting > Click Edit on the top right corner > Tap red circle to get delete option. Due to limited 5GB storage, it is better to select iTunes backup if files over 1GB. (Still don't know which one is suitable? 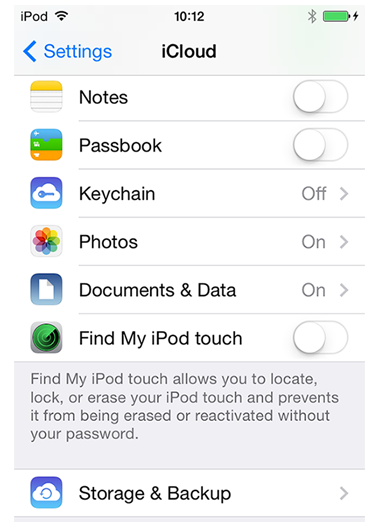 Please refer to FAQ iCloud or iTunes backup.) Meanwhile, iCloud just supports to store latest 1,000 photos for 30 days. 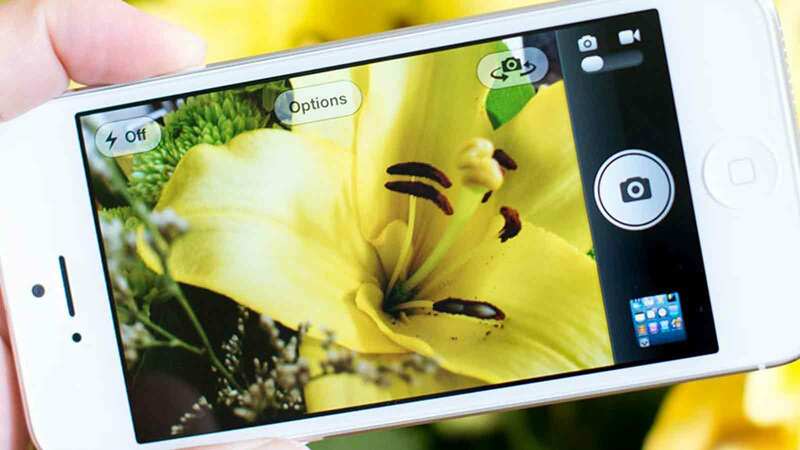 To backup more, AnyTrans can do a big favor since it can transfer photos without limitation to PCs. 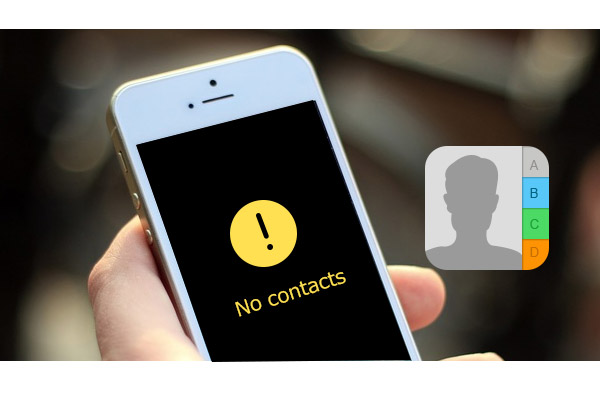 Tips: To get back the pictures before on iOS device (over latest 1,000 photos) or previous data, please try PhoneRescue – iOS data recovery to retrieve. 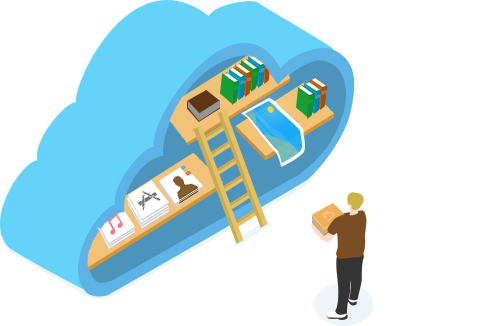 How to Free up iCloud Storage for Computer User? > Go to Apple menu > Open System Preference > Tap iCloud > Click Manage > Select Backup on the left and choose the iOS device backup to delete. > Open iCloud Control Panel > Click Manage > Tap Backups on the left and select the iOS device backup for deleting > Click Delete. 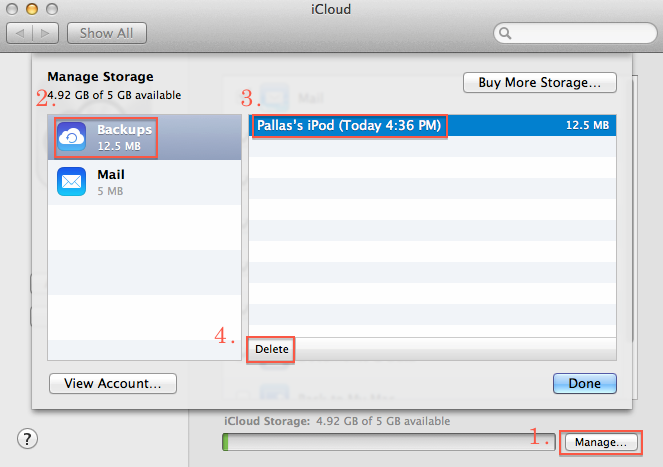 >To delete iTunes backup, please refer to this tutorial: How to Delete iTunes Backups. 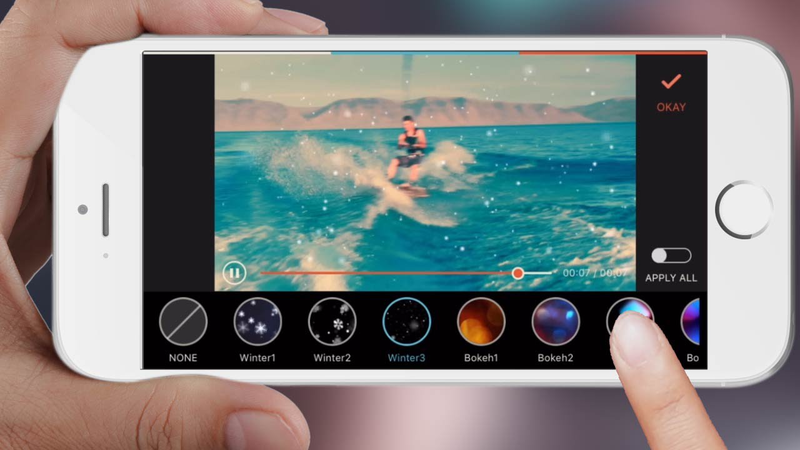 Note: This will delete the entire backup of iOS device, not specific one. Also, if there is no backup, PC won't present backup on the left.